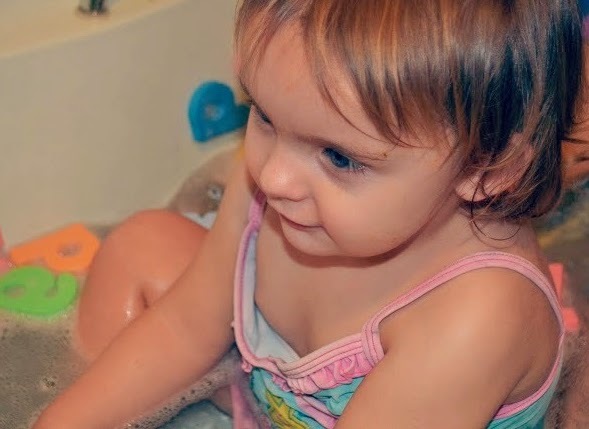 Well, we love Disney, we love H&A Bathtime Products, we love Finding Nemo and we love Bubbly Baths, so we were delighted when Tots100 invited us and other bloggers to review H&A Nemo Soft and Gentle Bubbly Bath. H&A Nemo Bubbly Bath came up trumps in the “Bubbly Test”. A few squirts made lots of bubbles. Ooh! Lovely, jubbly, bubbly bubbles! On the back of the packaging, H&A have included a Toddler Bathing Tip. I like how they encourage Bathtime to be part of the child’s bedtime routine as we already do and how they recognise the importance of toys at bathtime. We have plastic tubs full of different toys that we rotate throughout the week as they suggest. As well as making the bath play more meaningful, it also makes it easier to put the bath toys away ready for grown up bath time later! Bathtime is an important time to bond with your child and have lots of fun. H&A bathtime toys enable fun and learning, whilst getting clean. Our bath crayons, bath clock and foam letters all happen to be H&A products. Izzy had lots of fun in her H&A Bubbly Bath, as well as lots of bubbles, the product is Dermatologically Tested and Hypoallergenic so I felt reassured that it could be trusted on her lovely, soft toddler skin. It smelt lovely- she came out of the bath smelling “clean” and not overly fragranced. 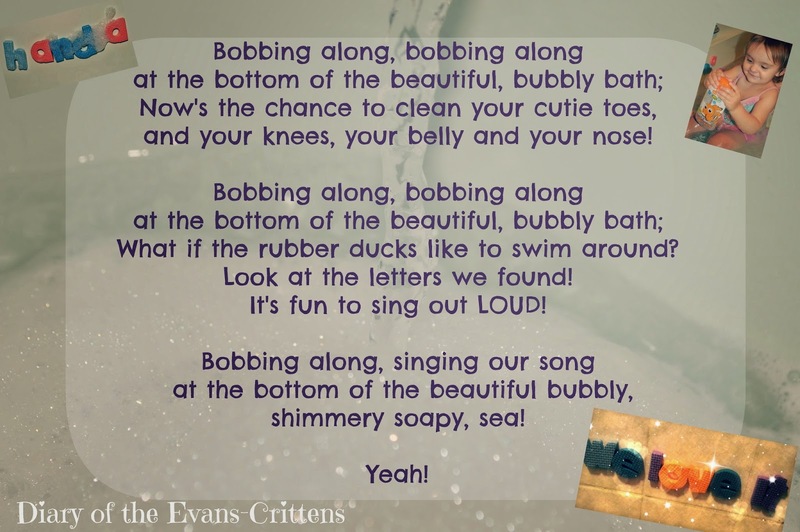 As well as play time, bathtime for us, is always sing- song time. I still have happy memories of my sisters and I singing with my mum at bath-time and I love continuing that tradition with my kids. As well as singing different songs throughout the seasons, we have some favourite songs that we sing all year round. At the moment, Izzy loves “Twinkle Twinkle little Star”, but the one song that I sing every bath time and have done since Danny was a baby is “Bobbing Along” from Bedknobs and Broomsticks. I always found this song soothed them as newborns when getting used to the bath and they loved to glide up and down the bath to the “we glide” parts of the song, in my arms. Izzy loves to dance whenever she hears music or singing, but I did laugh as she started saying “Shake your bum bum” to the song! I also had to have a slight lyric change when Izzy started putting the foam letters in her mouth. You can tell from the video that I am a mum and not a professional singer, but it’s all fun and that’s what counts! Izzy did take the letters out of her mouth when told, but it’s important for me that her bath time products don’t contain nasty chemicals, so in the case of a little bath water in her mouth (it happens!) she will be ok! H&A Bubbly Bath does not sting the eyes, so bath time remains tear free. Izzy had a lovely fun bath, thanks to Tots100 and H&A, we are still using our Bubbly Bath and her skin remains as baby soft and lovely as ever! H&A make products to suit different children and ages. Caitlyn would love all the Jake and the Neverland Pirates products-the Liquid Gold Fizzy Bath Tints would make a lovely gift for her. Rebecca loves anything Minnie, Disney Fairies or Disney Princesses and Danny would be more than happy to use the Sponge Bob Squarepants products. 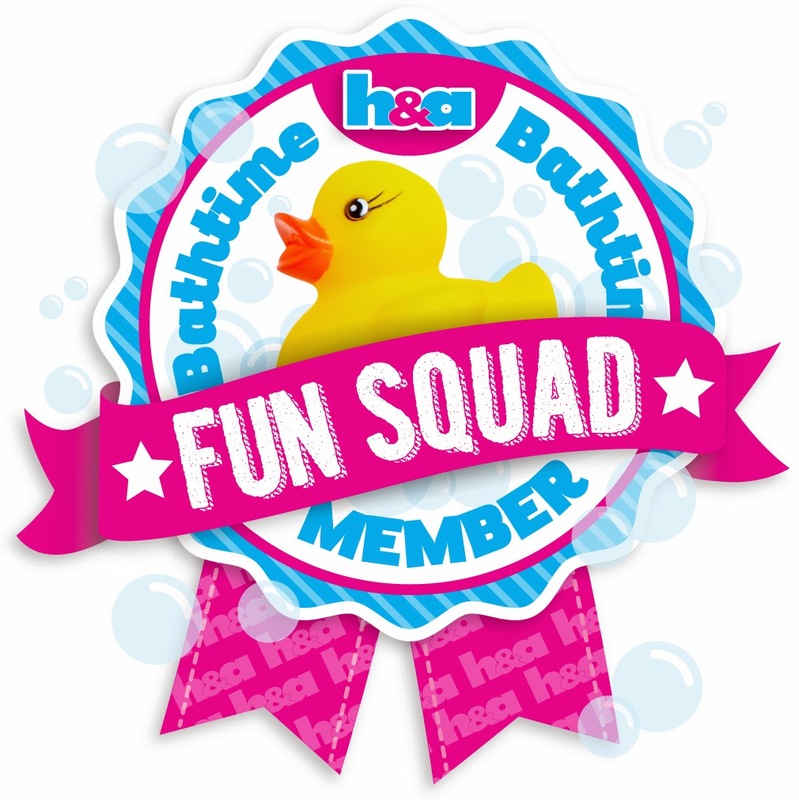 I would love to be a part of the H&A Bathtime Time Fun Squad. I already have lots of ideas I would like to suggest to them, such as printing a bath time song on the back of the Bathtime product’s packaging and developing a range of products to bring to the swimming pool to help parents with the dreaded post swimming lessons showers (parents either can’t get their kids INTO the shower or get them OUT! My problem is the latter. I have lots of suggestions of products to help with both of these situations). Disclosure: This post is an entry in the Tots100 H&A Bathtime Fun Squad Competition. 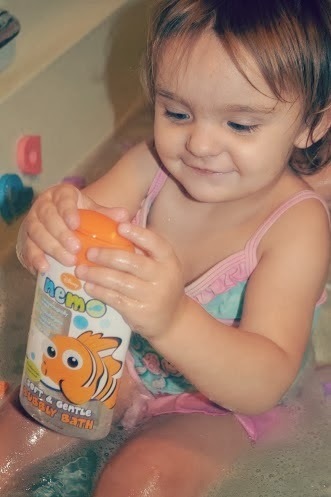 We were sent the Disney Nemo Bubbly Bath to review. All opinions are my own.